I have no idea where October went. But it somehow seems to already be November (election day!). It’s cooled down, and for a few days the trees have been stunning, although it’s been raining quiet a bit which means the leaves are falling at an alarmingly vast rate. The winter season is upon us with it’s cool weather, short days, long evenings, and cozy holiday festivities. This is also the time of year when people get sick all the time; I have at least three friends who’ve been texting me on and off about various pesky ailments. You know the usual line up of bronchitis, stomach bugs, ear infections and whatnot . That said, I thought for my seven snippets from October I’d do something different, and give a little line up of some of my favorite health items and discoveries of late. Here are a few things, to revive the body, and hopefully fight off the less desirable kinds of winter cold. First on the list is the beautiful, recently published cookbook. I have been a fan of the paleo community for quiet a while–it’s not just about eating meat –it’s about eating real food. This cookbook may take the cake. 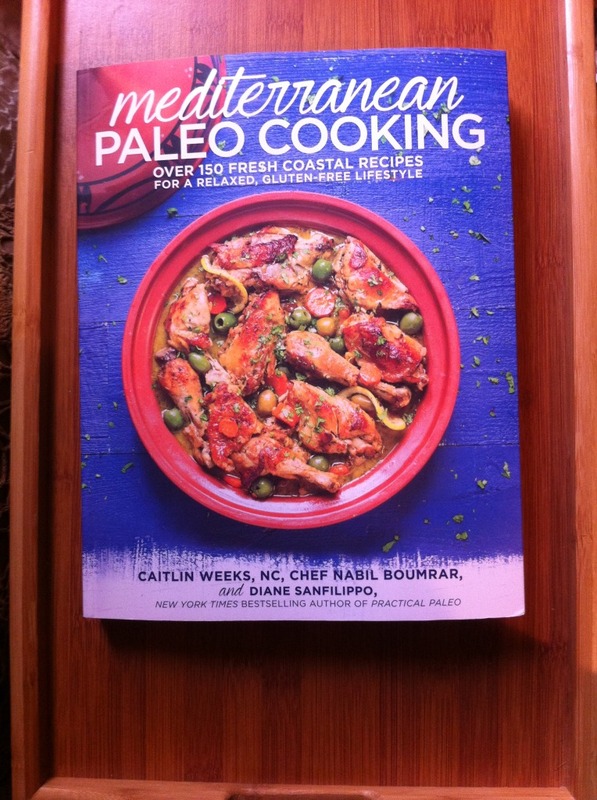 (I think I say that with every cookbook) but really, this one is beautiful. I’ve spent most of the last few hours just drooling over various recipes. Additionally, I’ve been a fan of Mediterranean cooking for quiet a while, so this is basically the marriage of two of my favorite kinds of cooking. Highlights include: beautiful pictures, lots of recipes, 30 menu plans (for regular paleo eating, and for autoimmune based eating), options for converting recipes into nut-free/autoimmune safe/fodmap safe alternatives etc. Just in case you can’t tell, I’m impressed and I can’t wait to try these out. This might top my list of things I’ve been excited about. I wanted to talk about it for a while, but first I wanted to give it a good trial. I started taking this in early September, so I’ve been taking this for about two months at this point, and I’m pretty excited. There’s lots to say about this supplement; I started taking it for fatigue, mental clarity, and pain reduction (most of the research associated with d-ribose is directed towards cardiology and Chronic Fatigue/Fibromyalgia). There are generally an endless list of possible supplements that one could take, many of which are quiet beneficial. Nonetheless, I try to be really selective about what I invest in. Partly because it’s expensive, but also because I want to make sure I’m putting really useful things in my body. 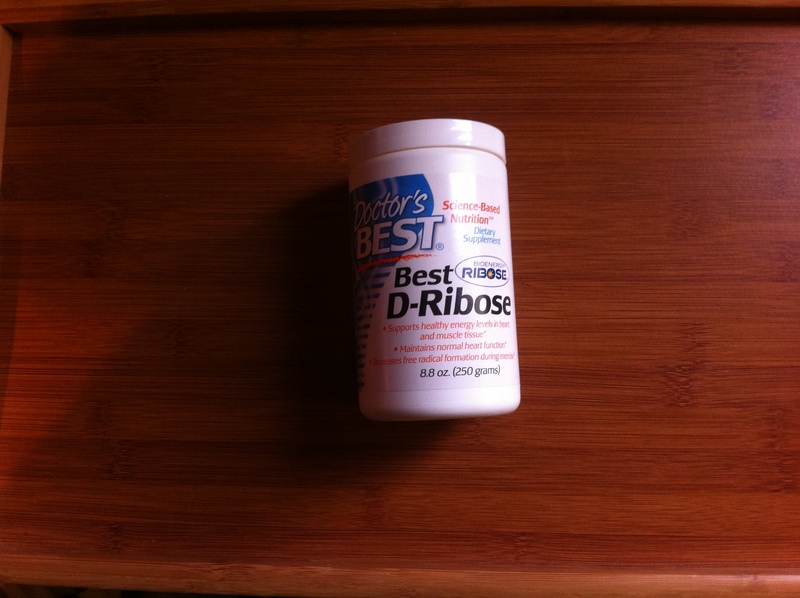 In the case of d-ribose,I find it worth the investment. This is presently one of three supplements that I’m taking and I’m glad to add it to my list. Warning: I might babel about it again in the future. This one went in my cart on a whim. Sometimes whims are genius. This is one of those cases. This stuff is nom nom nom. Confession: I frequently give preference to black and green tea because I’ve been known to really like my caffeine. That, and sometimes herbal teas just don’t taste right to me for whatever reason. This autumn, however, I’ve been using this tea as my vehicle of choice. Vehicle of what? you may say? Remember the d-ribose I mentioned above? Well d-rbiose is an ‘ose’ and in case you’re not up on your molecular lingo, ‘ose’ is a key ending in things that are sweet (y’know, glucose, fructose…yaddy yadda.) 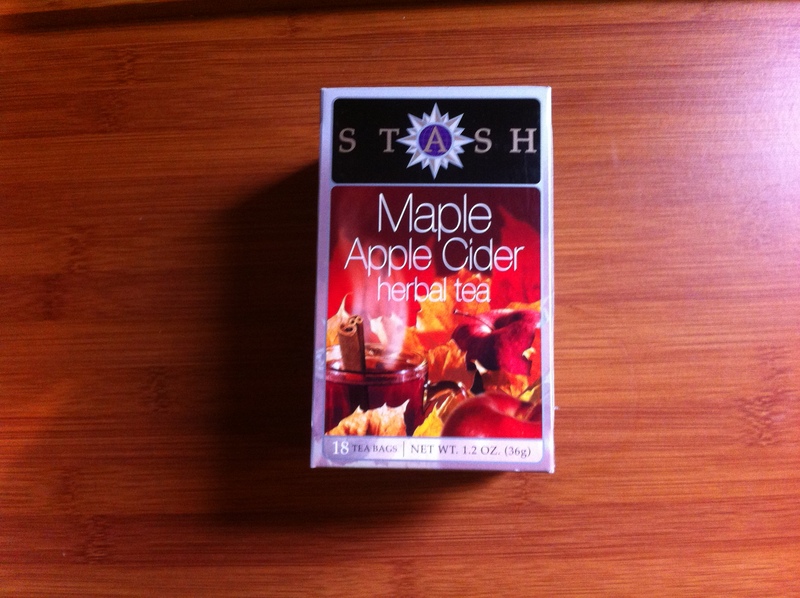 So I put a couple scoops of my d-ribose into this tea which makes it taste almost like drinking apple cider. Almost. Nothing is like drinking apple cider except for …well, drinking apple cider. But for the times when you’re not drinking actual apple cider…? This stuff is fab. There’s nothing better than warming up the winter with a warm cup of tea. So, here’s one that’s been on my life list for an embarrassing amount of time. 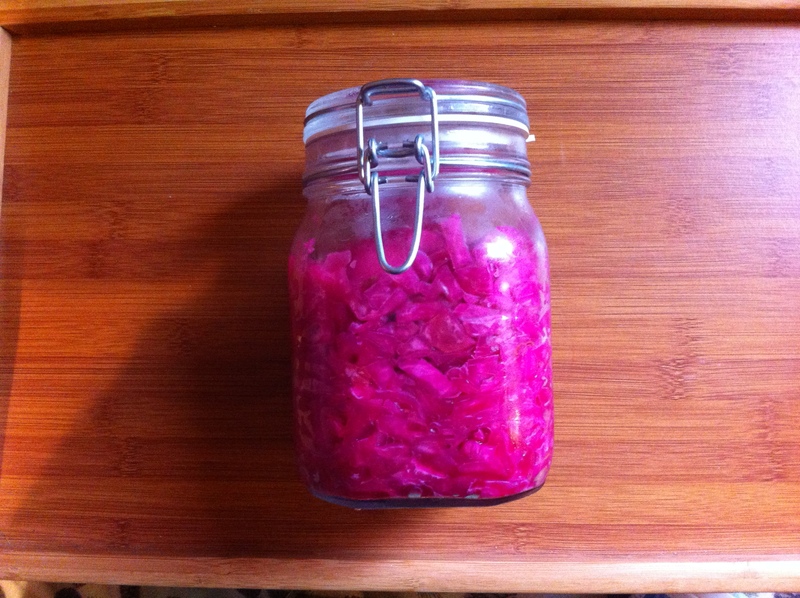 ‘Learn to make your own homemade sauerkraut.’ Well, this year, without a lot of pomp or circumstance… I just did it. I walked into the store and saw the sign that said ‘Sauerkraut season! Cabbage, $.60 lb.’ And that was the moment. I bought (way more than I needed) several heads of cabbage, pulled the jar that I bought for this project (like three years ago) off the shelf (hello dust bunnies!) and I did it. So it takes like fifteen minutes. Well, hands on time anyway. You chop it up, add some salt, and put it in a cool, dark place for 4 to 10 days. That’s it. This stuff is amazing. Not the stuff you buy at the store. And perks? It’s loaded with the healthy kinds of bacteria that help fight off the invader bacteria that we run across in our day to day life. If you’ve not been adventurous in this way, I recommend this. And also, RECOMMENDED: the book Real food Fermentation will provide you with a more detailed, but still very simple, explanation. This is a new adventure for me. I’ve been wanting to learn more about essential oils for a while, and so when I came across some information regarding oregano oil and immunity I was pretty excited. 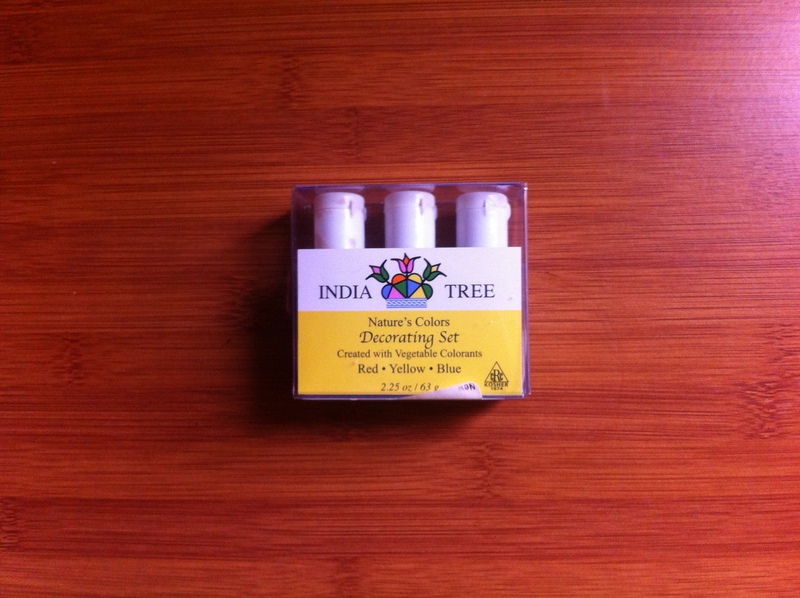 My mum has used this for a while, and actually had an intense detox situation with it a few years ago (when she accidentally spilled a bunch on her skin; even though she tried to wash it off, she still ended up with flu-like symptoms for several days following.) so that said, use with care. A little will go a long way. This might be one of your best offensive measures against flu season however when considering some of the amazing properties that oregano oil contains. 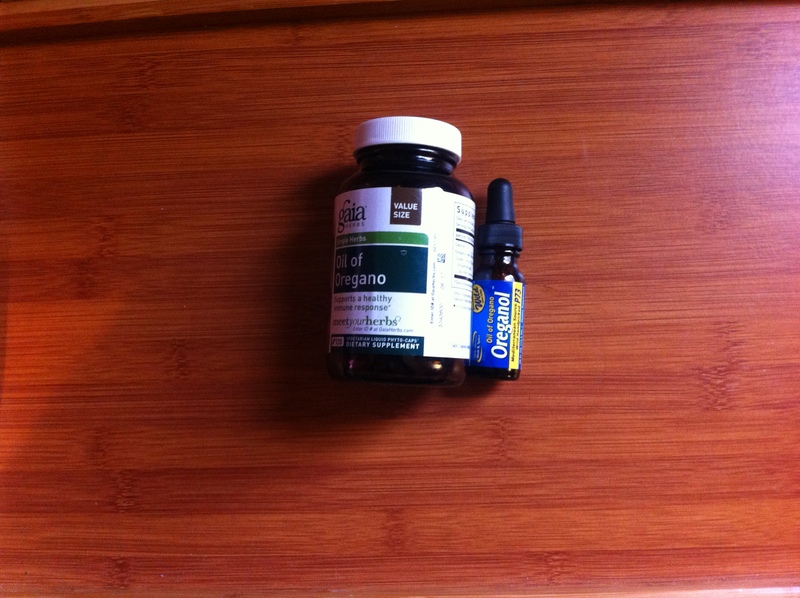 You can get it in either an oil form (which you dilute into a liquid–make sure you get something that is safe for oral consumption–the pictured is Oreganol, which I ordered from Amazon and is safe for internal use.) Or you can also find it in capsule form (Pictured is gaia, the only downside of which is that this has soy in it so if you’re avoiding soy products, this one isn’t for you.) I don’t yet know if it will help me stay healthy, but I’m intrigued enough to add it on the list of fall supplements. My sister, mum and I just gave these a run a few weeks ago, and they turned out beautiful. I can’t seem to find the picture of our masterpieces, but we made some autumn cut-out cookies using these dyes and the products were beautiful. Winter is definitely the time of year where we’re most likely to be making sweet treats; the least we can do is avoid adding hazardous additions, and one of the benefits to making things yourself is you’re in charge of what you add. These are all natural vegetable dyes, which avoid the dangerous artificial dyes that are so prevalent in store-bought candy and sweets. Our experience was very successful, but nothing beats knowing that you’re avoiding toxic additions with not-so-sweet side affects. Up until last year I was a squash skeptic. They were, as my nephew would say, ‘not my favorite.’ I’ve realized this was a mistake, and a dreadful travesty. Squash are really good. 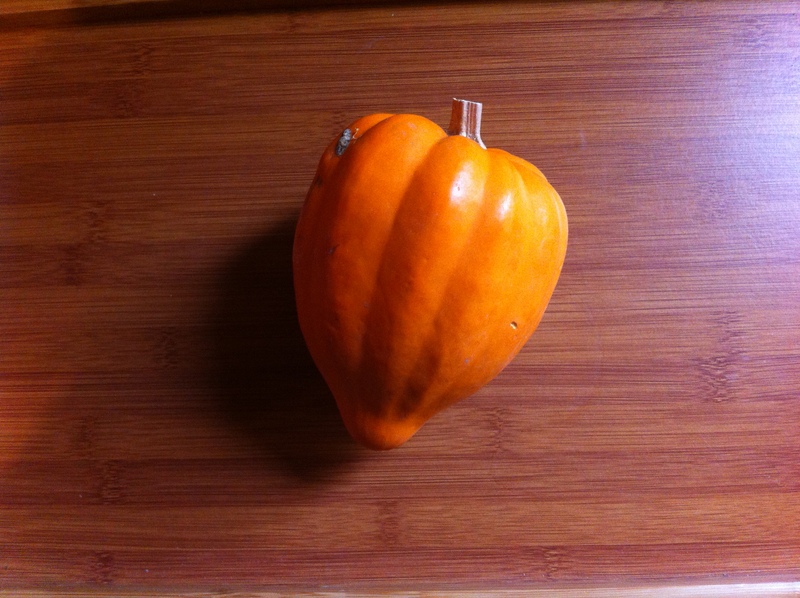 They’re fast, they’re tasty, they’re loaded with vitamins, and they’re seasonally very affordable. My local grocery had a large box on the flour selling local squash for $.69 lb. Needless to say, I have a basket of squash I’ve been working my way through, yummy yum. 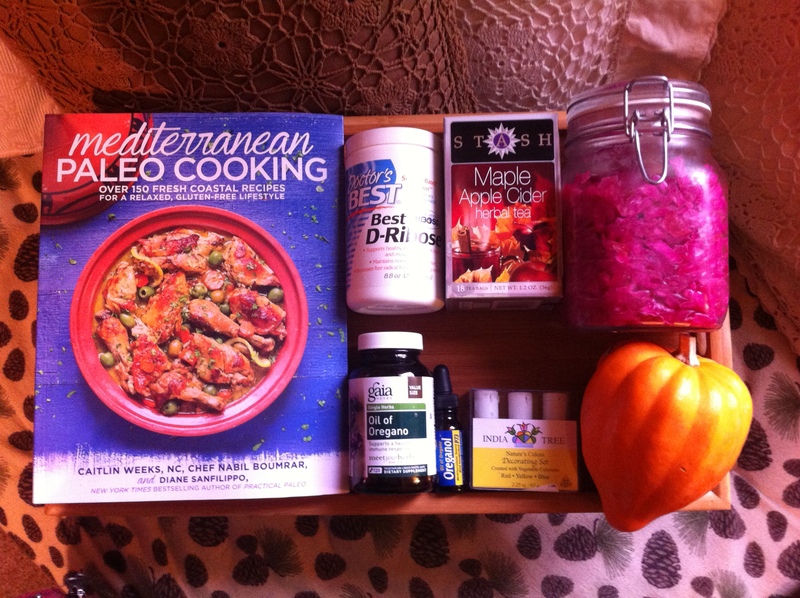 And that’s a wrap for my favorite healthy autumn items. Hope you’re staying well, and warm, and enjoying the delights of the season.